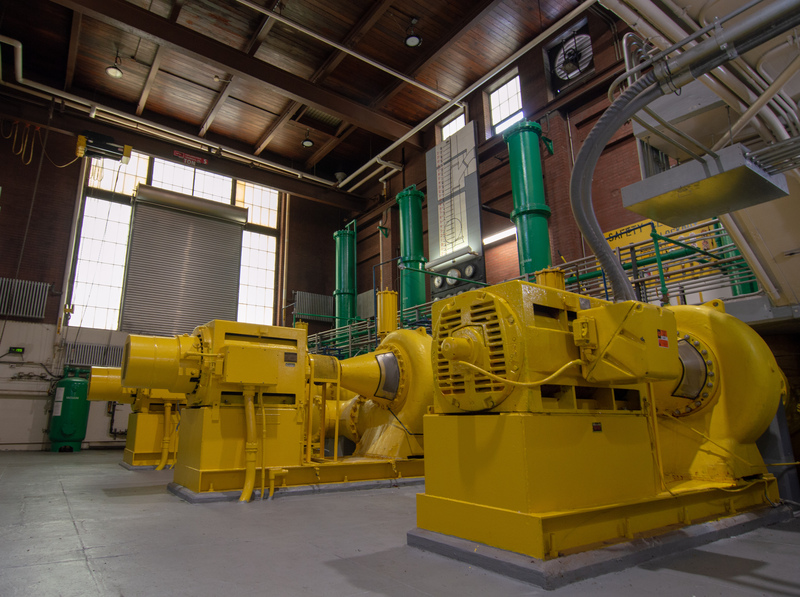 These gigantic machines are three of LCA’s six main sewage pumps, used in our wastewater treatment process. Aerated grit chambers use injected air to force wastewater to flow in a spiral — like water that’s going down a drain or funnel. This causes heavier particles — the grit — to separate from the water. The heavy grit drops to the bottom of a tank and is removed. From there, the wastewater flows into primary settling tanks, where any remaining, lighter particles sink. Two of the pumps are 150 horsepower each, and can move 17 million gallons of wastewater per day. 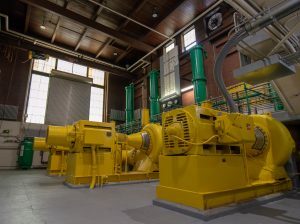 The other four pumps are 200 horsepower each. Two of them can move up to 23 million gallons of wastewater per day, and two can move about 24 million gallons of wastewater per day. While these pumps look spotless and probably appear brand new, they were originally installed in 1968! Their longevity is due to the hard work and preventative maintenance of the treatment plant staff. The fact that these pumps are 50 years old, however, drives home the point that Allentown’s aging infrastructure is in need of replacement.